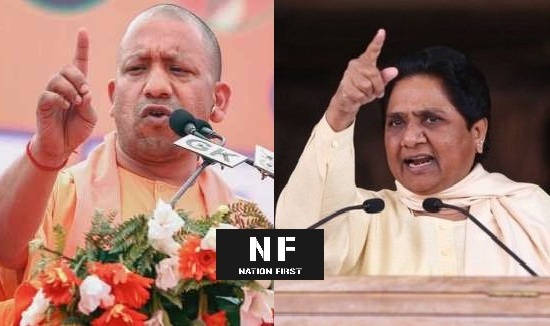 NF Bureau: The Election Commission of India on Monday banned Uttar Pradesh Chief Minister Yogi Adityanath and Bahujan Samaj Party supremo Mayawati from election campaigning for violating Model Code of Conduct by making objectionable statements in their speeches. While Adityanath was barred for 72 hours for his “Ali” and “Bajrang Bali” remarks in Meerut, Mayawati has been barred for 48 hours for appealing to Muslims in Deoband to vote for the gathbandhan. The ban comes into effect from 6 am, April 16. © 2019 - Nation First. All Rights Reserved.